Here is an excellent recap of the first Coolidge Gala Dinner held last November. We look forward to many more to come. 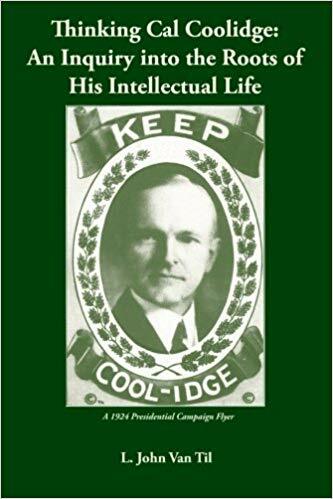 The fresh introduction to Calvin Coolidge for many who do not know who he is, what he accomplished and why he is important is thrilling to behold. What a tremendous way to bring back our thirtieth President from an unjust “exile” by historians and to relearn the principles of limited government, engaged citizenship, and fiscal discipline by which he lived and led. These truths, along with many others, lack none of the necessity or power now than they did in his time. 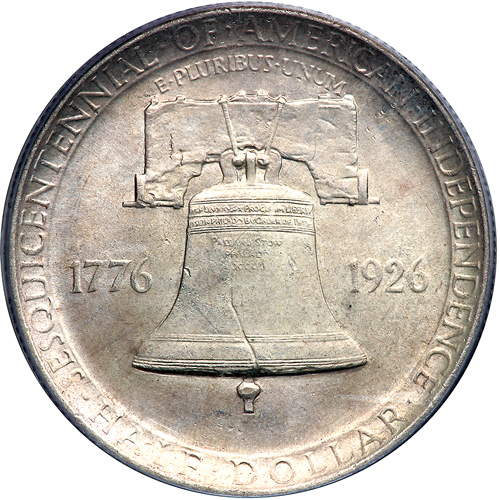 This is NOT out of some simplistic nostalgia about the “good old days” but rather strikes at something far more profound and fundamental: A government held to proper limits by a sovereign citizenry is the only foundation for social progress, economic opportunity and individual liberty. In this period where so many assume “Big Government” is permanently here to handle every human contingency, we are inescapably bound by the reality of Coolidge’s precepts. As much as we may wish otherwise, we cannot indefinitely spend what we do not have just as we cannot reap what we have not sown, whether as individuals or nations. 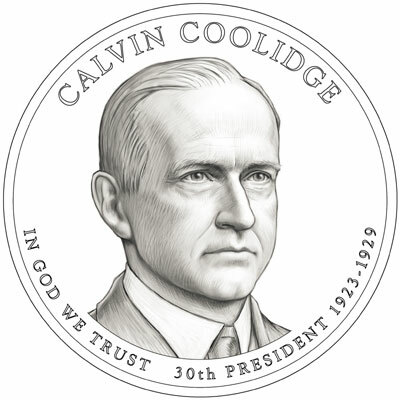 We have no more outgrown Coolidge’s belief in self-government, exemplified by such virtues as hard work, personal initiative and self-control, than the earth has outgrown a need for the sun. 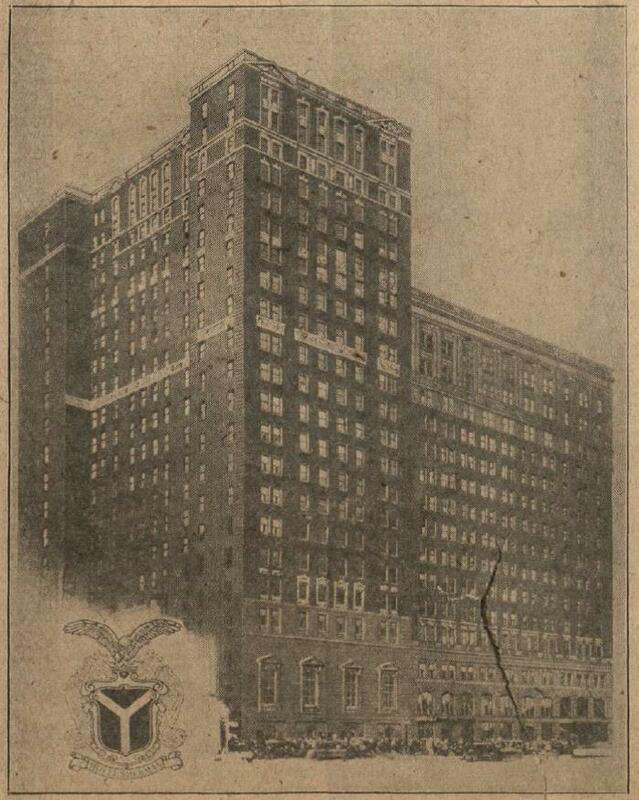 The Sherman Hotel in Chicago where President Coolidge delivered his address on the farmer and the nation, December 7, 1925. 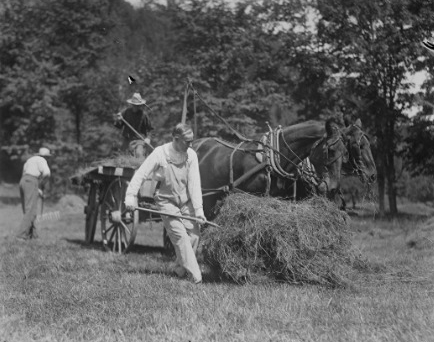 The American Farm Bureau Federation, meeting for its seventh convention in December 1925, had begun five years earlier to accomplish three objectives: (1) extending the terms of credit to allow farmers more time to market what they produce; (2) supporting a high protective tariff which guarded American markets from cheap imports; and (3) advancing a cooperative marketing method for individual farmers to manage ordinary surpluses. After three years of legislative successes, the Federation chose new leadership in 1922, electing Oscar Bradfute, an Ohio rancher, who took the helm with a commitment to the cooperative approach against the price-fixing program advocated by tireless lobbyist George N. Peek and others. 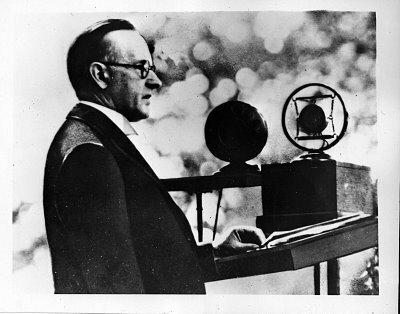 As President Bradfute introduced President Coolidge, he reminded the thousands overflowing the ballroom how important a statement on behalf of agriculture was being made. 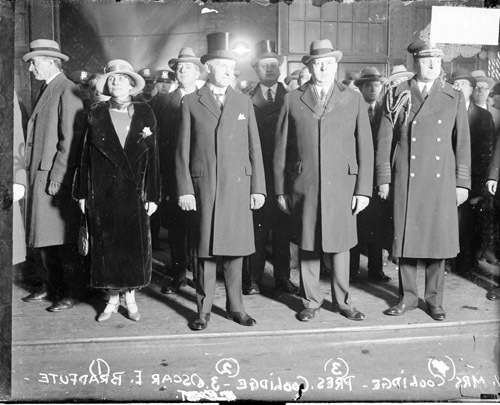 President Coolidge had traveled two thousand miles to reach the opening day of not merely a Midwestern farm meeting, but downtown Chicago, the headquarters of an organization at the center of all agricultural business. The audience, eager to hear what the President had come so far to say, would find themselves divided in two basic camps after his forty minute address. 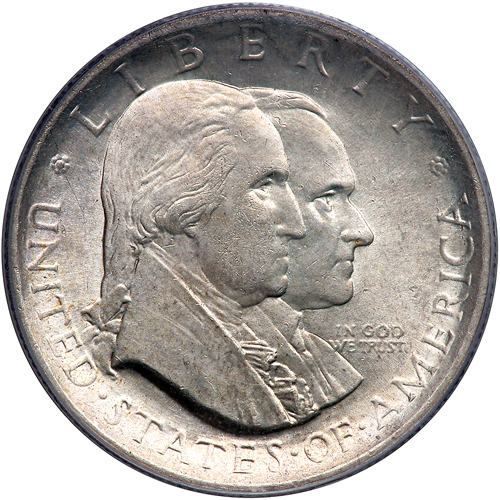 There were those who wanted immediate results through government price-fixing and those who were confident that America’s farmers, just as Coolidge had said, were best able to emerge on their own from depressed prices, debt and overproduction with the patience, independence and rugged determination that had defined the nation’s farms from the beginning. Government-controlled price-fixing would only harness and undermine the farmer, not improve his circumstances. Changing tariff policy, which already provided immense help to agriculture, would likewise be a step backward not forward. If these would not work, what would, in President Coolidge’s estimation? First, the President recognized the importance of turning capital loose so that farmers can obtain loans as participants of cooperatives. Cooperatives would cut out the middle men (distributors and marketers) standing between the farmer and the consumer, thereby liberating the transaction of goods with a lowered price and increased profit margin. Of course, distributors and advertisers played a role as well in the market but by freeing up capital and furnishing resources for “sound business advice,” farmers could better help themselves out of agriculture’s preventable difficulties. It was the reason why Coolidge had supported the Norbeck-Burtness bill in 1923 addressing crop and livestock diversification to help farmer’s avoid the cycle of overproduction, price decline and waste. It was also why Coolidge would support the Tincher bill in 1926 to supply $100 million in revolving loans to co-operatives. Connecting the producer with the consumer, supplying capital where it was most needed and efficiently used, did more to aid farmers than any government price-plan could yield. Second, President Coolidge identified the important part co-operatives played in handling “accidental surpluses.” No real solution should be made into a crutch, to incentivize purposefully wasteful overproduction or subsidize reckless decision-making on the part of farmers. Only reducing production could solve excessive supplies of any given crop. No proposal could replace the initiative or judgment of the individual farmer. Co-operatives, handling roughly one-fifth of total agricultural produce annually, were there not to supplant the sense people were to exercise for themselves. The co-operative was there to help when weather bestowed higher yields than expected. The farmer was not to lean upon the co-operative as his permanent safety net, substituting its storage and resources for his own failure to sow, cultivate and reap wisely. 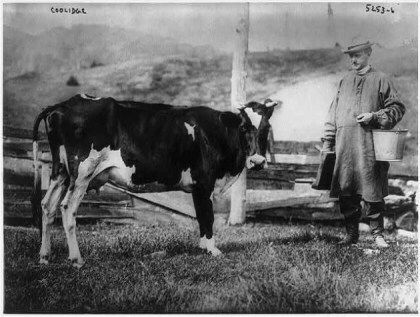 Charles L. McNary, of Oregon, and Gilbert N. Haugen, of Iowa, both Republicans, co-authored the bills bearing their names which advocated government controls on agriculture, mandating an “equalization fee,” and buying crops overproduced by American farmers to be resold at artificial prices on foreign markets. Maintaining this conviction did not come from a lack of sympathy for the difficulties the farmer faced. The exact opposite was true, especially for Coolidge. The responsibilities of leadership demanded something more than simply indulging the short-sighted and mistaken wishes of the electorate, however politically powerful the “Farm Bloc” proved to be. It was not leadership to follow the misled and uninformed. Agriculture needed to “consider the encouraging features of their situation” not deny them, perpetuating a perception of crisis. “Human nature is on their side,” the President reminded them. 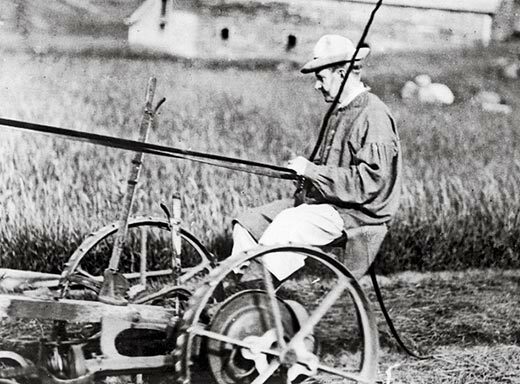 “We are all consumers of food.” As Coolidge recapped the rise and fall of prices since 1820, historical perspective made clear that farming continued to advance, even the setback of 1921 was temporary. Agriculture was going to see a return. It was not, as George N. Peek opined, an “us versus them” mentality where industry was concerned, like when he asked “[S]hall agriculture exist merely to feed the mouth of industry?” President Coolidge could not disagree more. The growth of industry meant the progress of agriculture because we all have to eat. 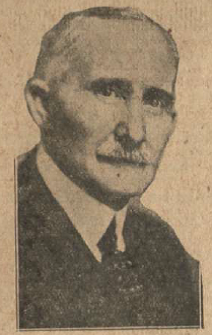 George N. Peek, President of Moline Plow Company and tireless lobbyist on behalf of government joining with corporations to fix agricultural prices. 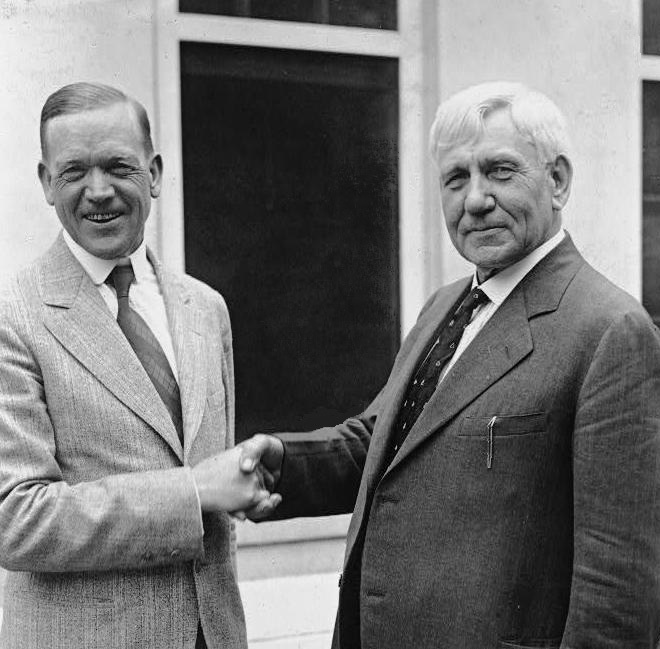 After Coolidge thwarted his efforts to make McNary-Haugen the law, Peek became a Democrat and, eventually, a supporter of FDR’s Agricultural Adjustment Act. 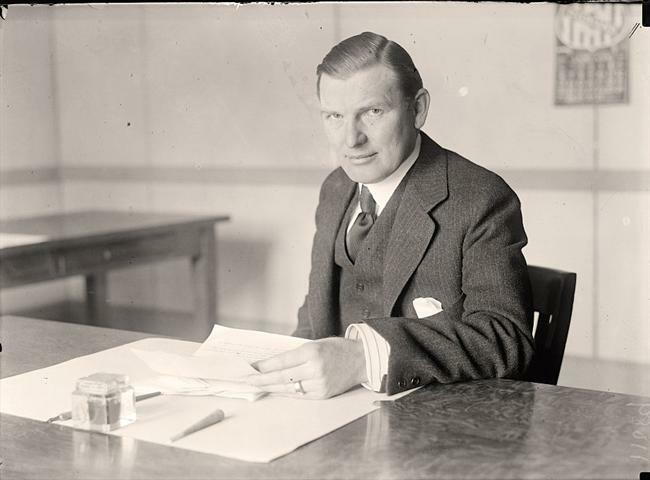 Newly elected President of the American Farm Bureau Federation, Sam H. Thompson, who would move to push McNary-Haugen all the way to President Coolidge’s desk in 1927. Coolidge, Calvin. “The Farmer and the Nation,” December 7, 1925, cited in Foundations of the Republic. Honolulu: University Press of the Pacific, 2004. Fite, Gilbert C. George N. Peek and the Fight for Farm Parity: A vivid story of the farmers’ campaign for agricultural equality and of the man who led it. Norman: University of Oklahoma Press, 1954. Hansen, John Mark. Gaining Access: Congress and the Farm Lobby, 1919-1981. Chicago: University of Chicago, 1991. Michigan Farm Bureau News, “Elect Sam Thompson President of American Farm Bureau,” http://archive.lib.msu.edu/DMC/MFN/1925/December%2018%201925.pdf.